Outdoor air pollution is estimated to be responsible for 3.3 million deaths worldwide a year, according to a study published in the journal, Nature, LiveScience reports. The publication notes that the majority of these deaths occur in Asia, where air pollution is particularly bad, and the countries most affected are China and India. To put the effect of air pollution into perspective, the premature deaths it claims globally are more than malaria and HIV/AIDS combined, The Guardian reports. And according to the World Health Organization, 9 out of 10 people breathe polluted air. Air pollution, which can be caused a number of things including producing nitrogen dioxide and other particles from traffic, as well as sulfur dioxide from burning fossil fuels, is incredibly harmful to human health, and the link between poor air quality and cardiovascular health has been the topic of many studies (75 percent of these estimated deaths have been caused by heart attacks or strokes). However, LiveScience also reports that air pollution can cause a number of other mental and physical problems. The immediate effects of being in an environment where there are dangerous levels of air pollution results in difficulty breathing, coughing, and watering eyes. But it is also dangerous for pregnant women and can affect an unborn child. “Exposure to high levels of air pollution during pregnancy has been linked to miscarriages as well as premature birth, autism spectrum disorder and asthma in children,” the Huffington Post notes. Air pollution can also affect fetal brain growth. High levels of pollution can result in chronic bronchitis, lung cancer, emphysema, and also harden the arteries. It can also affect mental health, resulting in degenerative brain diseases including Parkinson’s disease and Alzheimer’s. 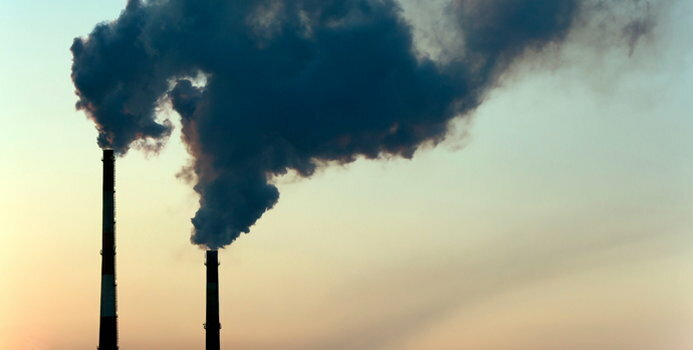 And a study from Taiwan published in the journal Occupational and Environmental Medicine noted that air pollution can also have an effect on sperm quality, with findings showing a link between how particulate matter affects the size and shape of sperm.